One ingredient that I have yet to come across in Dubai is green tomatoes. 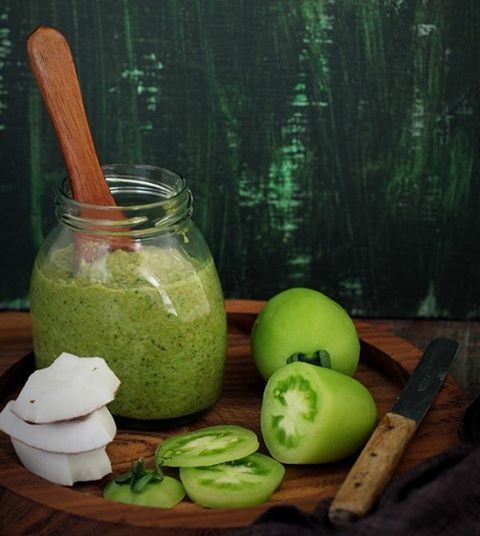 I saw these in a store here and had an urge to make this Coconut Green Tomato Chutney, an accompaniment I have been missing with my upma, idlis, vadas. It has beautiful balance of sweet, sour, hot, spicy flavors that are nearly addictive.